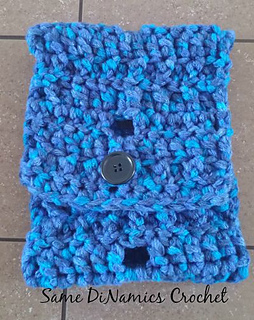 One size 22" x 7"
This is an incredibly simple and easy neck warmer that you can whip up in a matter of just an hour or two. 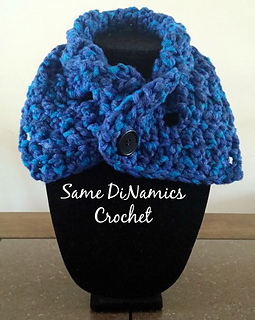 It sits comfortably close to your neck and buttons up for closure. 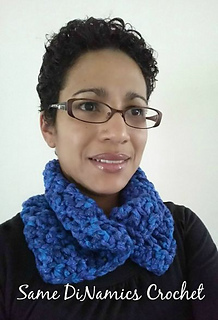 With the use of Red Heart Boutique Twilight in Lapis, the neck warmer feels soft against your skin and will provide great warmth on a blustery cold day or evening.